DataSunrise Database Security is an advanced software suite designed to protect sensitive info corporate databases contain. It has an intuitive user interface, can be deployed with ease and helps to comply with database-specific security regulations. DataSunrise firewall runs independently of any applications, does not require any software agents and doesn’t inflict any additional load on protected database. It is worth noting that DataSunrise does not store database passwords or any other sensitive info. Since most data leaks are caused by companies’ own employees, DataSunrise is designed to protect corporate databases both from external data breaches and insider threats. DataSunrise is compatible with 64-bit Windows and Linux operating systems. The firewall can be installed on the database server or on a separate server in the cloud or on premises alike. Depending on intended usage, DataSunrise can be deployed in the following configurations. When deployed in this configuration, DataSunrise acts as a proxy server controlling incoming queries and database responses. Unlike Sniffer mode, Proxy mode enables DataSunrise to block or modify client queries if necessary. In Proxy mode, DataSunrise can perform all its functions, but it requires some server modifications to be made. Besides that, the database response time is somewhat increased (not more than 5-10%) as compared with Sniffer mode. DataSunrise Data Audit component collects information on all user actions and modifications made to database contents. The audit is used mostly for data breach investigation and assessment of security system vulnerabilities. Continual data auditing helps to detect data breach preparations and initiate its prevention. DataSunrise features self-learning algorithm integrated into the Data Audit component. 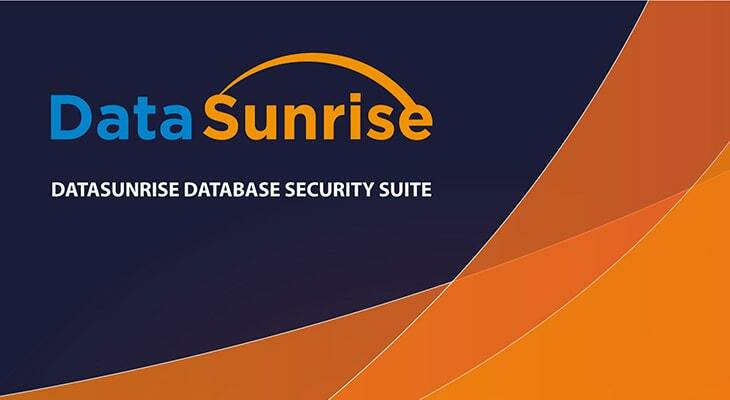 DataSunrise uses these algorithms to learn typical database user behavior and create a White list of authorized SQL queries intended to be used by Data Security and Data Masking components. The firewall administrator can use dedicated Learning Rules set to manage self-learning process. Data Security component is the basic tool DataSunrise utilizes to counter various harmful actions: it prevents unauthorized access and defends the database from SQL injections. Data Security functionality is based on a system of security policies. First, the firewall administrator specifies which queries should be treated as malicious based on their source and SQL code. Then DataSunrise performs smart analysis of database traffic. If an incoming query violates existing security policies, it is blocked. Then DataSunrise informs the firewall administrator via Email. Static data masking tool enables you to create a copy of the database and change required content with fake values or random characters. The firewall administrator can hide database contents from unauthorized users by replacing the actual database output with fake values. Because data is being obfuscated by DataSunrise before it leaves the database, it helps to prevent possible data leak. In most cases data masking is used not to protect data from hacker actions, but in situations when intentional data transfer to a 3rd party is needed (testing, reporting etc). DataSunrise GUI features Event Monitor section dedicated to provide the administrator with full details on system events, intercepted queries, and the firewall actions. To make this info easy to understand, the Event Monitor visualizes it as a table or a chart. Additionally DataSunrise features an advanced reporting tool named Report Generator. This feature enables you to create custom reports on required events and save them as a PDF or CSV file. DataSunrise supports all major databases and data warehouses. You are welcome to download a free trial if would like to install on your premises. In case you are a cloud user and run your database on Amazon AWS or Microsoft Azure you can get it from AWS market place or Azure market place.